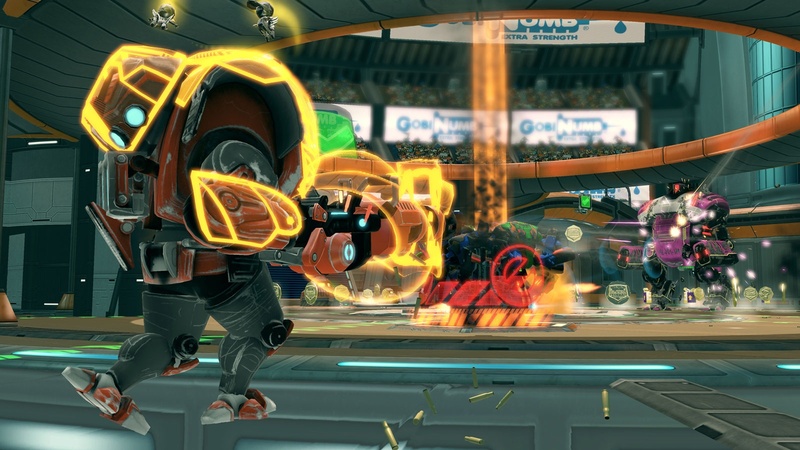 When we saw Monday Night Combat at Pax East we were definitely impressed. Monday Night Combat is a downloadable title featuring a co-op mode that makes our mouths water. 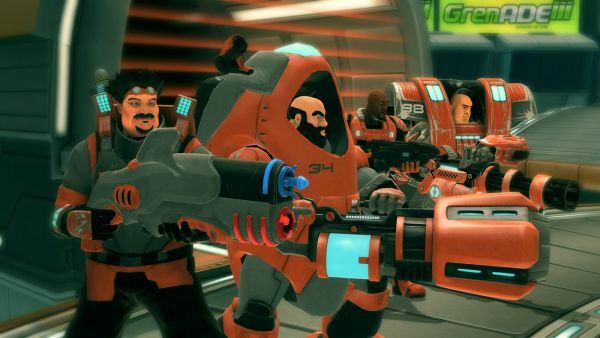 Complete with quirky characters and a third person perspective on the gameplay mechanics of Smash TV, Monday Night Combat is a surefire win with the co-op "Blitz" mode. 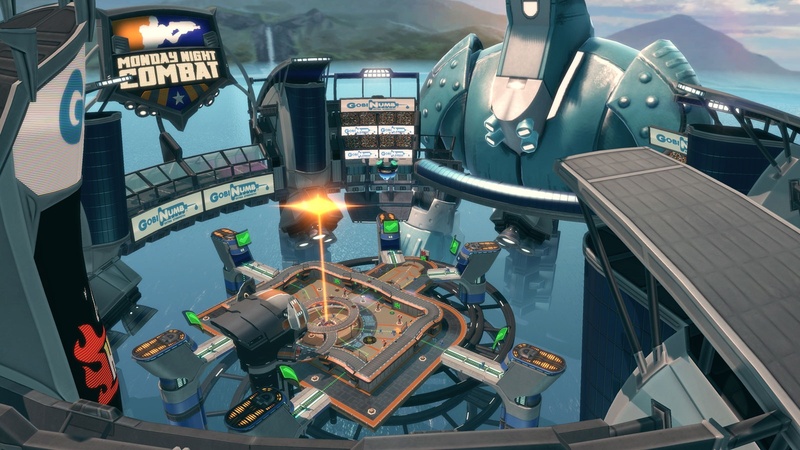 "Monday Night Combat's Blitz mode allow players to defend their Money Ball against armies of robots by themselves, two player splitscreen, or four player co-op over Xbox Live. 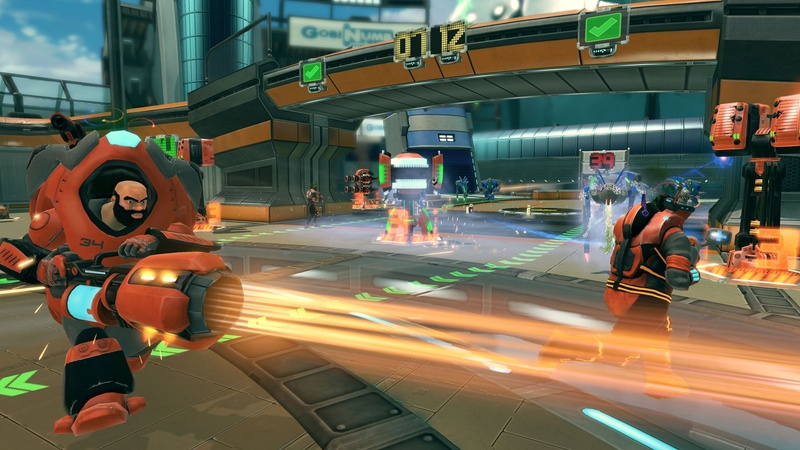 During various Blitz challenges, players can spend money earned by destroying bots to build defensive turrets around the Moneyball, upgrade one of six unique character classes, or set off robot crushing environment hazards. The Challenges vary from a ten round Exhibition Blitz to endless robot waves of ever increasing difficulty in Sudden Death Blitz." 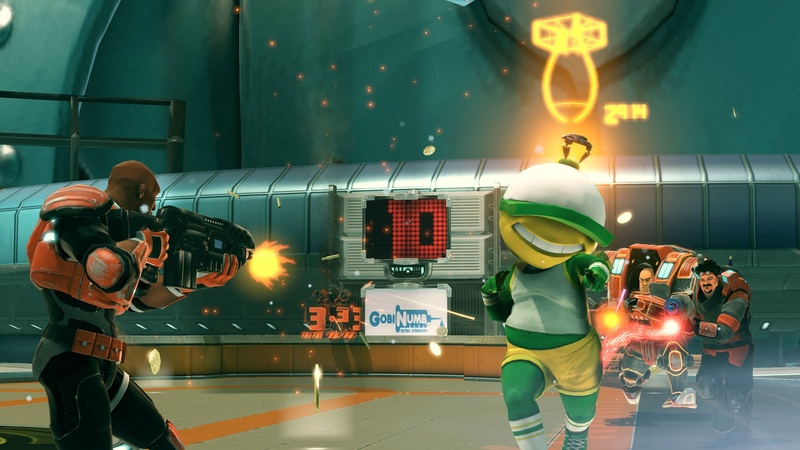 We also learned is that Monday Night Combat is yet another Xbox Live Summer of Arcade title. This brings our count up to 3 Summer of Arcade titles that will feature co-op. There is no mention of a PSN release at this point, but hopefully we'll get a port over that way as well. Monday Night Combat will launch in July for 1200 .